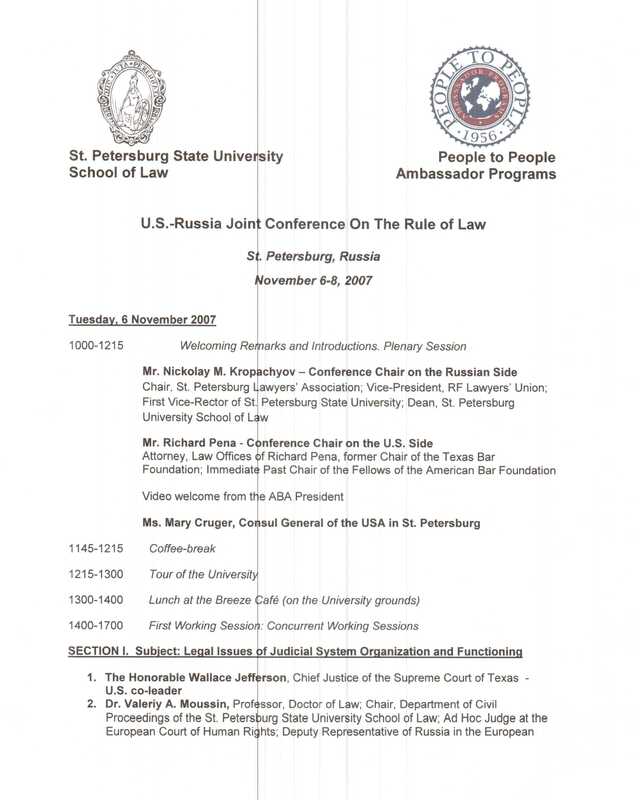 In the Fall of 2007, over 100 lawyers and guests from the United States traveled to St. Petersburg, Russia to participate in the first ever People to People U.S.-Russia Joint Conference on the Rule of Law. Our goal was to meet Russian colleagues and law students face-to-face and to discuss common problems, compare our legal systems and lay the foundation for understanding and further collaboration. 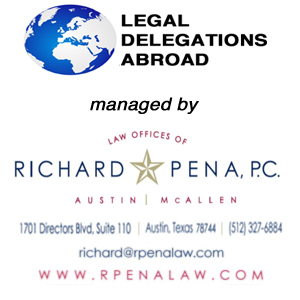 Some of the leading lawyers in America agreed to serve as co-chairs for the conference and the delegates were superb in their participation and contributions. Thanks go to St. Petersburg State University School of Law, which hosted the conference, and, in particular, to the Dean and Vice Deans who were instrumental in its success. The Law School, with its impressive facilities which included simultaneous translation and its world class reputation, was a perfect venue for this international conference. Did this conference change the world? Probably not, but we can answer “yes” to the fact that we did strengthen relations with a part of the Russian legal community and to some degree advanced the Rule of Law. We also experience the sights and sounds of the city during our cultural activities and enjoyed St. Petersburg in a unique way. I, for one, will always remember the similarities between our Russian colleagues and us, as well as the bright and inquisitive spirit of the law students who participated in our discussions. I will also remember our farewell dinner with our Russian colleagues, for the feeling and optimism one gets at the beginning of a relationship. I will also remember the Russian lady who spoke into the microphone at the end of the evening and said that she would always feel a friendship towards the Americans, for it was the Americans who came to their aid during World War II in their time of need. We live in a turbulent world with constant distrust among nations and with the Rule of Law under attack at every turn. 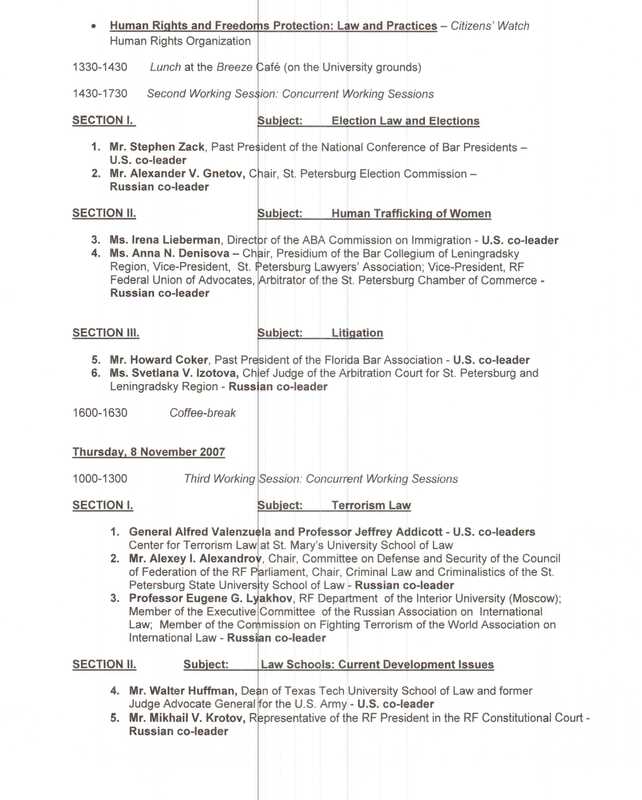 Let us always remember that in the Fall of 2007, over 100 American lawyers and guests traveled to Russia as stakeholders in world cooperation. 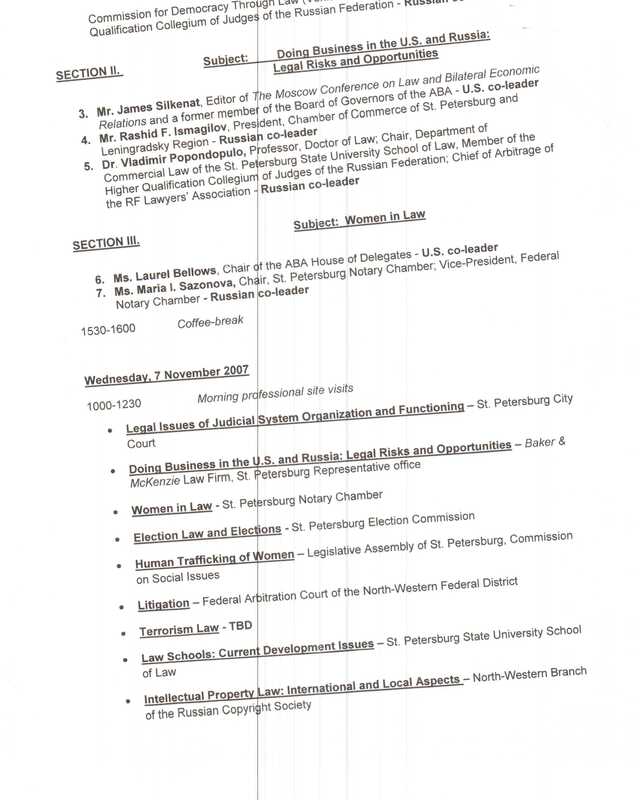 As we talk of lawyers making a difference in our societies and the world, nowhere will such a difference have as profound an impact as between the countries of the United States and Russia. Lawyers in our two countries are the guardians of the Rule of Law. No matter how great the differences of our countries, the bond of our legal communities can usher in cooperation and stability. The stakes are too great for us not to try. The stakes are too great for us not to succeed. In the Fall of 2007, at the U.S.-Russia Joint Conference on the Rule of Law, in St. Petersburg, Russia the bond began to take root. 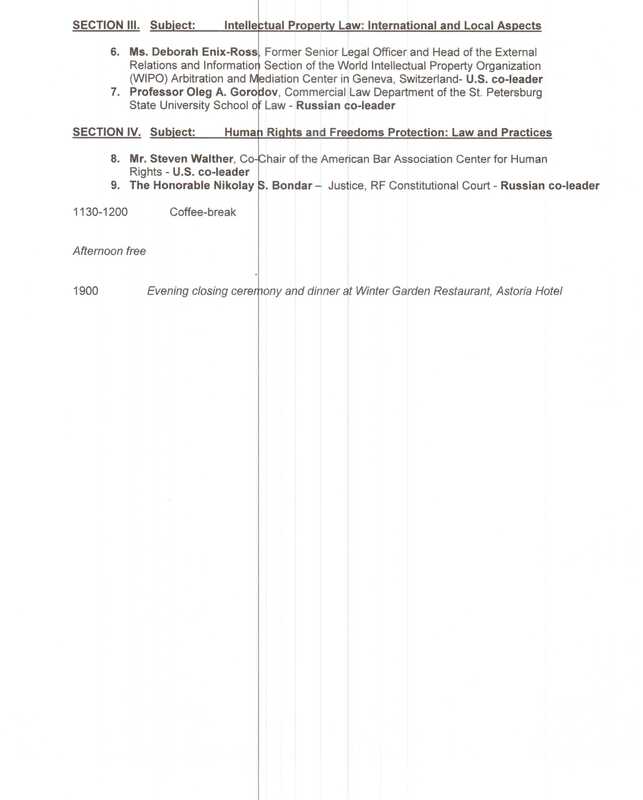 To view the Itinerary for this delegation, please click here.